Due to the growth in the number of event venues at Falvey and the capacity to have multiple programs going on simultaneously, the number of events in the Library has skyrocketed into hundreds each academic year. We are often still asked, “Why does the Library have events at all?” The answer is quite simple: If a library has value, it is more than a learning resource center or a conduit for data. The university library retains much of its value as a place where things happen, especially the organized and the unexpected acquisition of knowledge outside the classroom. It is not just a place where study and research occurs, but also a place where ideas become connected and many discoveries are made by scholars who are living, learning and thriving in the community the library serves. It is an anchor institution for a university education. It is also a place where the many members of the university are enriched by experiences that can help them interpret the world they are trying to explain by means of the academic enterprise. 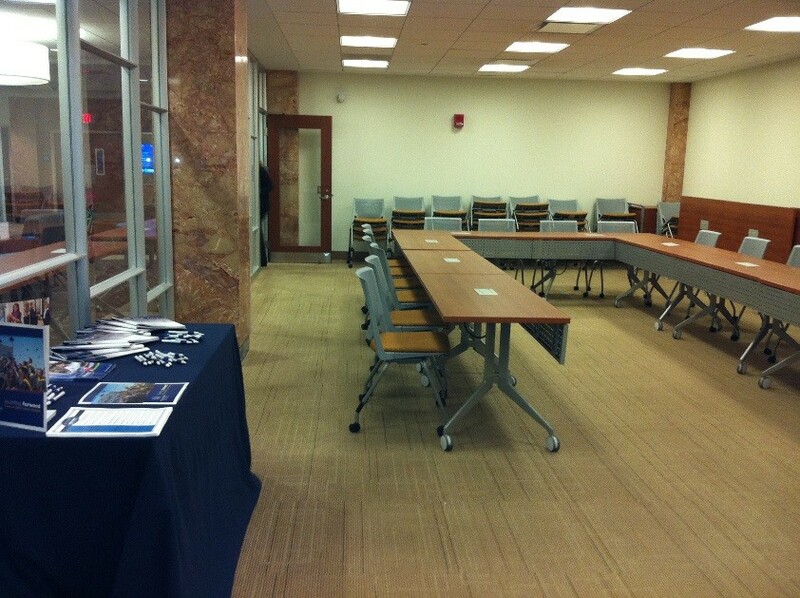 One of the seminar rooms in Falvey’s Learning Commons, which is often filled with studying students when not in use for an event, is Falvey room 204. This is an exceptional space for presenting to a group in a setting that can accommodate either rows of chairs or an arrangement of tables and chairs. 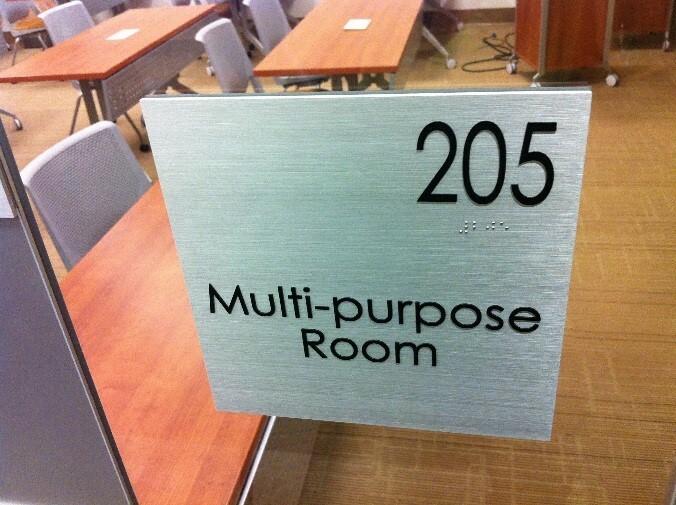 Its default layout is classroom style. 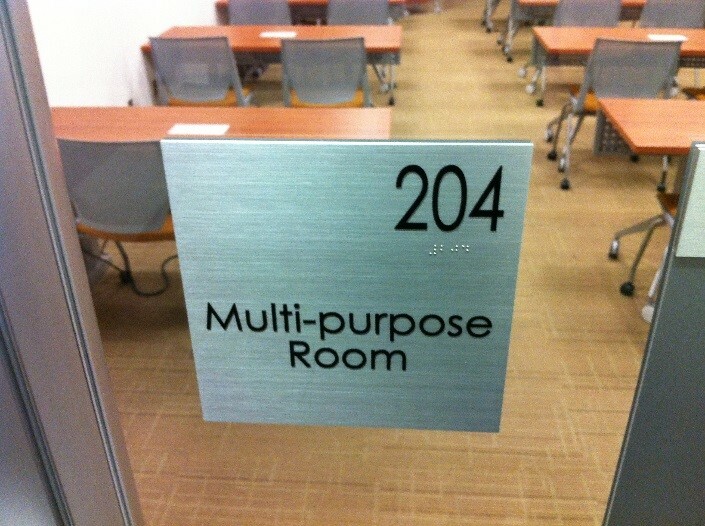 Room 204, which is part of the Learning Commons, is a visible seminar room across from the elevator on Falvey’s second floor. The space, with its large screen and projector, is ideal for the many types of lectures and symposia co-sponsored by the Library. 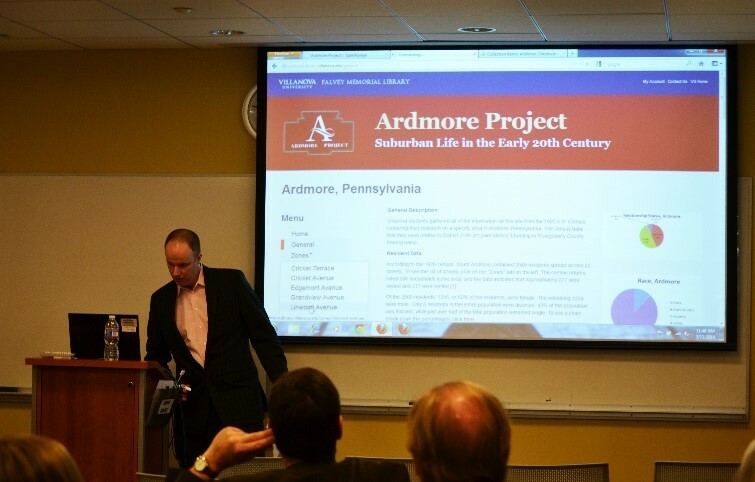 An ideal forum for lectures, panels, workshops and group meetings is Falvey room 205. A much-sought-after space on the Library’s second floor, this multi-faceted room also functions as a social space for receptions and informal gatherings. Although room 205 is quiet and enclosed, it offers a view into the lively activity of the Learning Commons on the second floor. When not in use by the Library as a meeting, reception or program space, Falvey 205 is an open student study area. 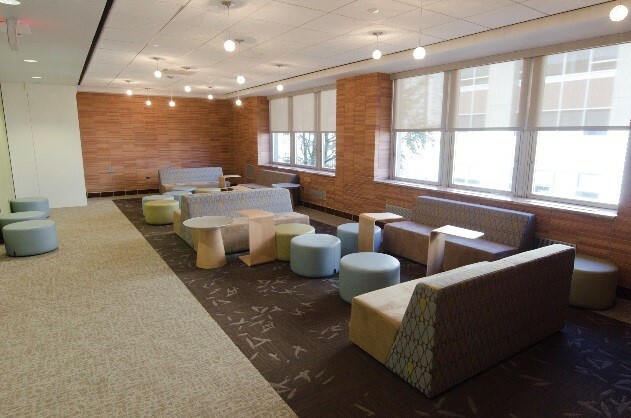 Given its out-of-the-way location on Falvey’s second floor, even though it is a public event space as a part of the Learning Commons, it is “a neat little comfortable back corner where thoughts can brew and be blended.” It is occasionally used as a venue for casual events hosted by the Library. The Library sponsors events, but it also hosts many campus events, and its major forum is affectionately called Speakers’ Corner. 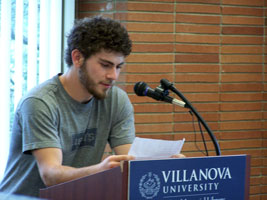 Inaugurated as a new space for intellectual, cultural, and social programming in February 2012, Speakers’ Corner is a public area on the first floor of Falvey. This highly visible event space is a popular venue in Falvey, and events in this venue are always open to the public. Programming in Speakers’ Corner has included poetry readings, book signings, musical and orientation events. If you are interested in booking an event, or just more information about any of our spaces, please contact a member of Falvey’s Scholarly Outreach team, which manages this event space for the Library.